Think your better half is cheating? Worried about kids taking drugs and getting pregnant? Check out this list of best spy apps to monitor them. Spy Phone App is also known as cell phone surveillance, which is a mobile tracking application. This software helps in tracking, monitoring and recording of conversations and text messages from target phones. It also tracks the browser activity, GPS location and text messages from apps like WhatsApp, Facebook, Viber and Skype easily. With, the most fastest, smarter and powerful Android OS versions, it’s still possible to spy from any Android device. How are Spying Apps useful in everyday life? How to use a Spy App? 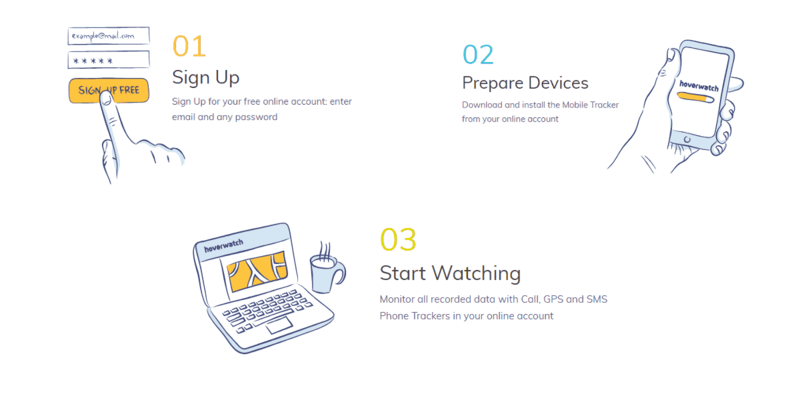 What are the benefits of using Cell Phone Tracker? Find lost or stolen a mobile phone – By simply installing these spy phone apps, on your phone in case the phone gets lost or stolen, they can easily track the location of the phone. With the GPS location tracker feature, it’s possible to track and remove the private data stored on your device easily. In monitoring your kid’s online activities – Parents can easily track the online activities of kids and teens without the consent of their children. Monitoring untrustworthy employees (or mobile resource tracking) – Employers can monitor or keep an eye on their employee’s activities by using this spying software on their smartphones. Installation – At the time of installing this spy software, you’ll need to have access to the target phone. Once the software is installed onto the phone, it runs in the background without the user’s consent. Now you can monitor the target device activity remotely by logging into the software’s web-based control panel. Web-based Control Panel – This control panel is provided by the spy software company that helps you to check on monitored phone’s activities and current phone location as well. Compatibility – All the spy apps listed below are compatible with both iPhone and Android devices. Internet Access – All the Spy apps require an internet connection to work, 3G, 4G or Wi-Fi to ensure the software can work successfully. XNSPY is one of the few Spy Mobile apps compatible with all Android OS versions from 4.0 to 8.0. This app helps you give the remote control of the target device by fetching all the required information also helps to record device surroundings, with GPS location and all social media control. XNSPY allows viewing call log of your target device. Checking messages, images and even emails on the target phone is easy. Web history and the bookmark websites can be easily tracked as well. Call recording with complete remote control is given. 24/7 tech support to assist customers. Compatible with all Android devices from oldest to latest. Only certain features of the app are available in free version. The XNSPY requires more data to work at its best. Basic Edition: $8.33 per month. Premium Edition: $12.49 per month. How to use XNSPY Spy App? Download and Install XNSPY to target phone. Register and Login account to Target Phone. Set up an account: purchase your mobile spy software. Check your email and follow the steps. Restart your phone to view all tracking data. Flexi Spy is one of the top Spy software’s used for all versions of iPhones, iPads, iPods, Android, Blackberry and Nokia phones. It offers a wide variety of features and leaves no mobile device activity unknown. Call Intercept: This feature provides live phone conversations with users consent. Record Phone calls and surroundings: All phone calls and social media activities from the user’s phone can be recorded from a remote location. Password Cracker: Can gain access to all passwords for social media, emails and applications. Instant GPS locations: Used to track cell phone location in real time. Remotely control the phone: One can easily control the phone remotely and certain commands. Handle multiple devices at once. Doesn’t support latest devices that come with Android 8.0 Oreo. How to use Flexi Spy App? Download and Install Flexi SPY to the target phone. Auto Forward features include the option to record of all incoming and outgoing calls with text messages, even after they are deleted. Track all popular messengers, every Text, Image and Audio messages. Monitor and record all incoming and outgoing emails easily. Access all social media applications on the target phone. Monitor Running Applications: All the installed and running applications can be easily monitored on the target phone. Free Updates: Free lifetime update feature available. It doesn’t let you set a limit on your child’s phone usage time. Premium pricing for Auto Forward Spy App is $69.99 with no monthly Fees! How to use Auto Forward App? 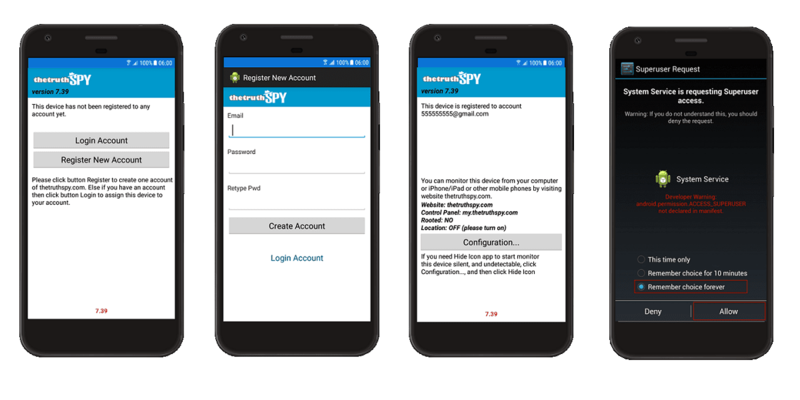 Download and Install Auto Forward Spy App to the target phone. Now, login to view all tracking data. How to Track Mobile Location with just a phone number? Use it to observe your surroundings and monitor what is going on. It amplifies the sounds around you via your device microphone. This app also enhances the equalizer this making the listening conditions better. Compatible with all Android, iPhone, iPad and Kindle Fire devices. Completely Free. If you wish to upgrade to Ear Spy Pro and get some extra features like- extended equalizer, Ad-Free, MP3 recording and Home Screen Widget. How to use Ear Spy App? Download and Install Ear Spy app to target phone. Compatible with Android 7.1.2 and all previous Android OS. This app helps to track and monitor all social media platforms like Facebook, WhatsApp, and Viber, but it lacks the ability to track emails. Everything is tracked in the target device with keylogging feature. Easy to install this software. Multiple tracking feature option available. Can’t provide Viber and Skype history. Limited compatibility makes it harder to use for devices running on less popular OS. How to use TheTruthSpy App? Download and Install TheTruthSpy app to target phone you wish to monitor. Register or Login Account to Target Phone. Click Hide Icon if you want silent monitoring. Login to my.thetruthspy.com to view all tracking data. Free for 48 Hours. Spyzie offers you to retrieve extensive details of the target device with doesn’t even require you to root the device. The best part is Spyzie stays 100 percent invisible on the target device as the app icon disappears once you install it on the desired device. Compatible with Android 8.0 Oreo. Text messages can be seen and the whole conversation can be easily tracked down. This app allows you to view photo and videos of the target device. The calendar, reminder, notes and installed apps data can be easily retrieved. Also allows to track current and previous location. The free version doesn’t required your credit card details. App can be used without rooting your smartphone. This app allows to access contact, call logs and even history of the target device. Often fails to download call and other recordings. Ultimate Edition: The yearly license will cost you $89.88 a month. Premium Edition: $99.99 for a year’s license. How to use Spyzie App? Download and Install the monitoring app on the target Android phone. Log into the control panel and view monitored data. Highster Mobile is the one-time payment solution to get a variety of features like- call story, record phone calls, GPS location, access stored multimedia files and view browsing history. View Social media and IM cats such as WhatsApp, Skype etc. Access to device contacts, calendar and notes. Can access all sent and received emails with all incoming and outgoing calls. Access to the device’s camera to take photos. Access all photos and videos. No Free trial or Live Demo option available. The one-time fee is a bit expensive. Not so easy installation on Highster Mobile. No so good customer service. It doesn’t offer features like, create watchlist alerts and initial remote commands. Highster Mobile is available for $70 one-time fee. For as long as you want. How to use the Highster Mobile Spy App? Install free app called ‘App Installer’. Go to ‘My Computer’ to click on the drive for your Android Phone. Click on ‘Downloads’ folder from inside the Android. Click and drag the file to a folder in the Android device. You can now unplug your phone from the computer. Find the folder that you transferred the file to. Go to the ‘Applications’ screen to select ‘App Installer’. Tap on the app that you transferred from the list you see. From here, follow the instructions to complete the download. Cell Tracker App is used to convert your smartphone into a Spy tracking device and can be used on all versions of the android, iPhone, BlackBerry or Windows Mobile. How to trace a Mobile Phone’s Location using Kali Linux? This app can work with or without GPS system. Cell Tracker also keeps track of your past visits. Even after restart of your phone, this app fetches you all the information. Cell Tracker works automatically after 0.5 hours. Supports both GPS and WI-FI features. No special features other than record of their own location. How to use Cell Tracker? Register your email and click on the activation link. Click ‘add Device’ and download an app from your smartphone and open it. Copy ‘Device identifier’ and click save. Now start the app and wait till your smartphone reads this app. Phone Location Tracking: In case of GPS and Wi-Fi turned off, this tracker can still provide you with all information using GSM Cell tower. Detection of changes in SIM card: Any replacement of your phone SIM card can be easily detected by Hoverwatch tracker. Browsing History: You can access the browser history, the list of websites that are being visited by people etc. Desktop Screenshots: Hoverwatch frequently and regularly captures screenshots and delivers to the main user. This app only supports android phone. The app can only read WhatsApp messages but cannot read Facebook messages. How to use Hoverwatch Spy App? Download and install Free Android Spy app on your phone. Login or sign-up to your Hoverwatch account. Now, Software will fetch the data from the target devices along with screenshots. iKey Monitor is best suitable for persons who wish to remove all traces of spy. This Spy mobile app is used by both Android and iOS smartphones easily. iKey Monitor tracks all incoming and outgoing SMS in both iPhone and Android devices. Records all web activities of chrome and other mobile applications like WhatsApp. Also tracks all voice calls. One can track all social media activities of your kids using this app. iKey Monitor offers features like keystrokes, screenshots and passwords. Supports multi-languages with up to 3 different languages. Free 3 day trial period is offered to test the app before purchasing. You must root your Android device, to capture screenshots and passwords. The device should be jailbroken to use over iOS smartphones. You can buy this app starting from $29.99 per 1 month. How to use iKey Monitor Spy App? Login to the Online Cloud Panel. 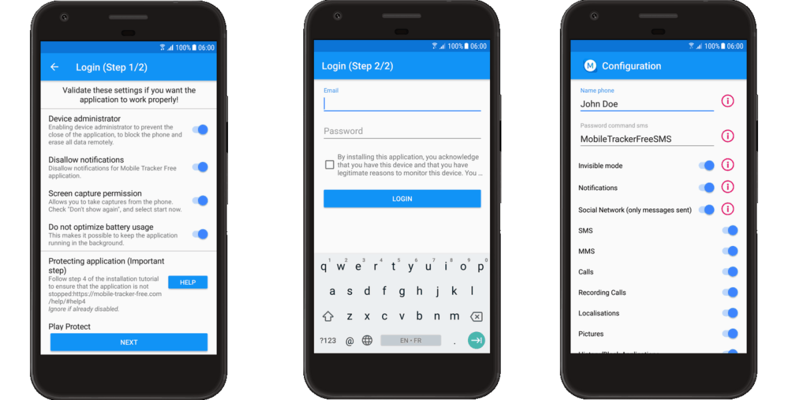 Click Download – iKeyMonitor – Android. iKey Monitor starts immediately after successful installation and you can enable functions as per your requirement. To configure remotely go to Cloud Panel- Settings-Devices-Client Settings. If you’re looking for an easy Spy mobile tracking app for whatsoever reason, then shown above are the best Spy apps available in the market. I hope we have helped you pick the best mobile spying app for your totally legit spying purposes. We hope you use this information for the good of humanity.